YouTube Music - ag teacht go luath! 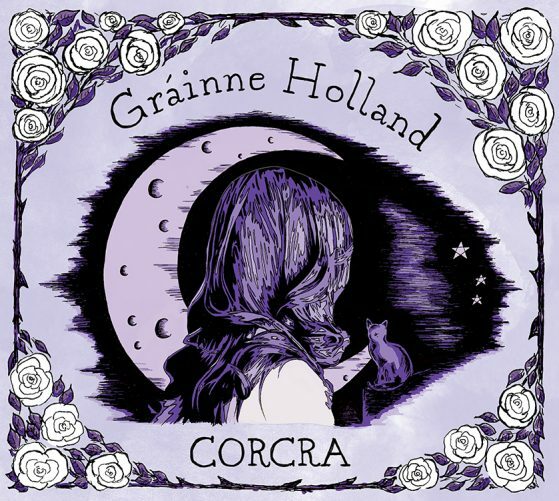 CORCRA is Gráinne’s first album of her own original songs. It was produced by renowned musician Brian Finnegan, recorded by Seán Óg Graham and features the best of Irish and Scottish musicians including Aidan O’Rourke, Liam Bradley, Brendan Mulholland, Cormac McCarthy, Niamh Dunne, John Joe Kelly, Paul Dunlea, Conor McCreanor and Steve Jones.The songs were inspired by life, love, grief and loss, motherhood and the healing power of nature. The stunning opener is Mise agus Tusa, meaning Me and You, a beautiful song written for her husband Frainc, Harry’s, is a song about her father which she wrote shortly after his death in 2007, Lon Dubh an Gheimhridh describes the sadness that we often experience in winter when the days grow shorter, the trees lose their leaves and everything seems to sleep. On a lighter note we have Miracle, written in 2015 after the birth of her first son and Béal Feirste, a tribute to her home town of Belfast. An Rí Rua is a story of 2 little birds and was co-written by Gráinne, her husband Frainc and Brian Finnegan. Coinsias, Corp agus Croí is a song Gráinne wrote about feeling alive again after a very dark time in her life.